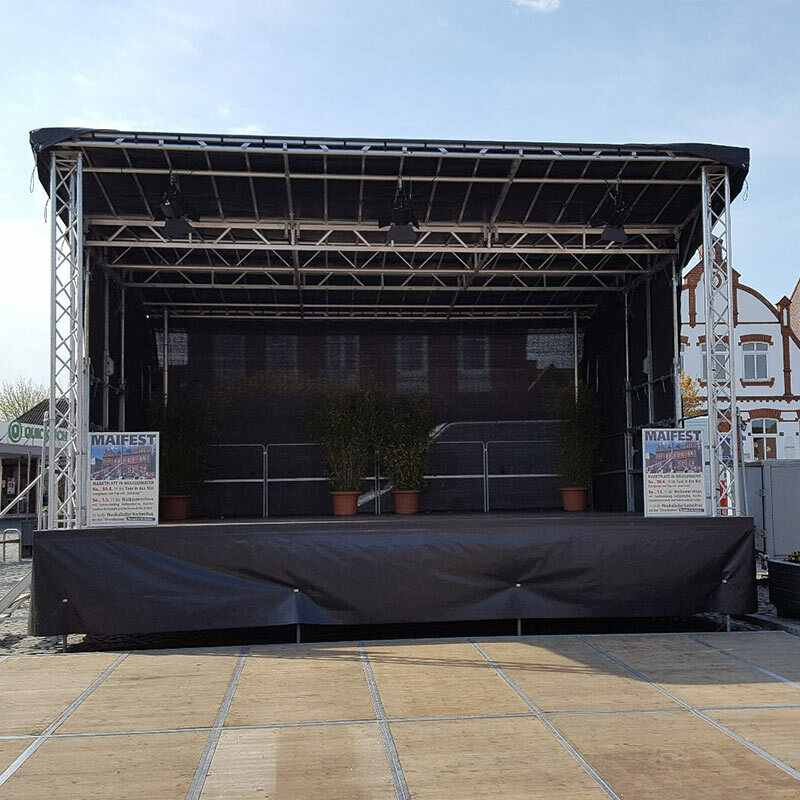 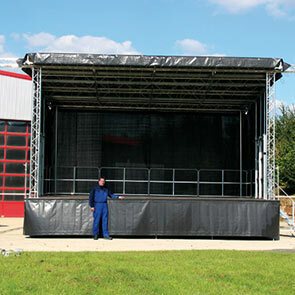 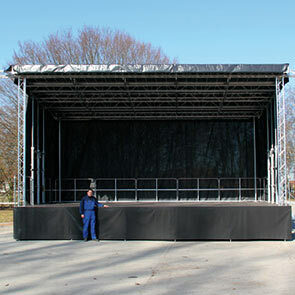 Trailer Stage Services are the UK agent for the excellent German manufactured Stagemobil stages, and are pleased to offer the full range, with UK type approval, delivered to you ready for the coming season. 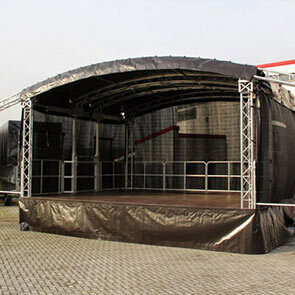 With an extensive range of stages : Stagemobil S, Stagemobil L, Stagemobil LR, Stagemobil XL, Stagemobil XLR and Stagemobil XXL With a 2 year worldwide manufacturers warranty these stages really are the Rolls Royce of trailer stages, very easy and super quick to set up and more than capable of fulfilling many bookings in a season without a breakdown, giving the end user the confidence that the show will always go on. 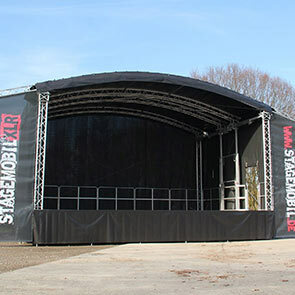 Clicking on an image below will open a new window and take to the Stagemobil manufactures website, this will give you the sizes and specifications. 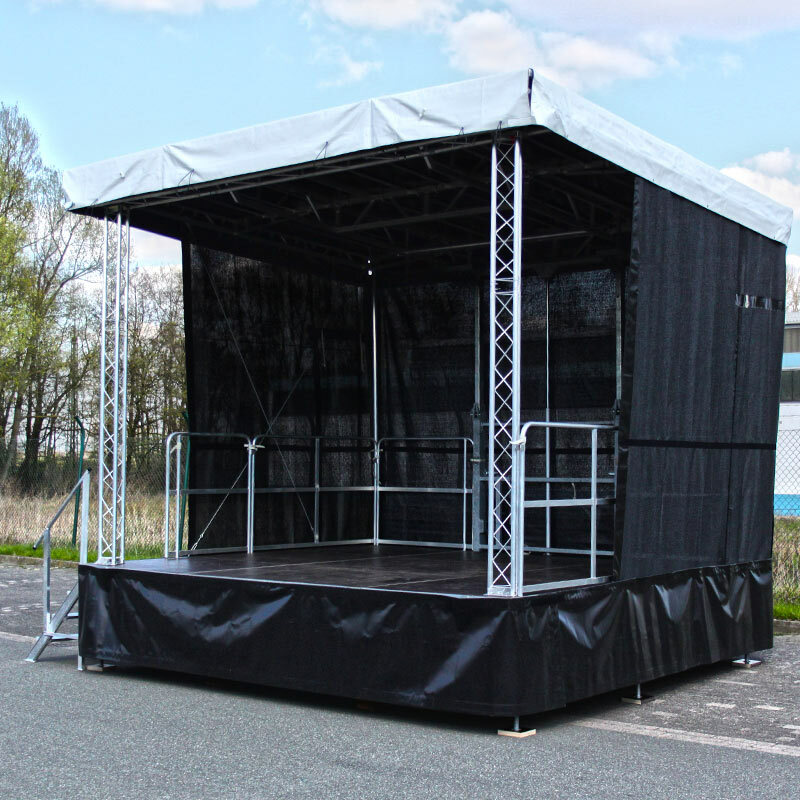 If you need further information about the range, UK delivered prices and favourable delivery dates, please don’t hesitate to return to our site and ask us.